Play-Along Solos. Instrumental Play-Along. Movies, TV and Play Along. Violin solo book (softcover) and accompaniment CD. With standard notation and bowings. 19 pages. Hal Leonard #HL00841458. Published by Hal Leonard (HL.841458). 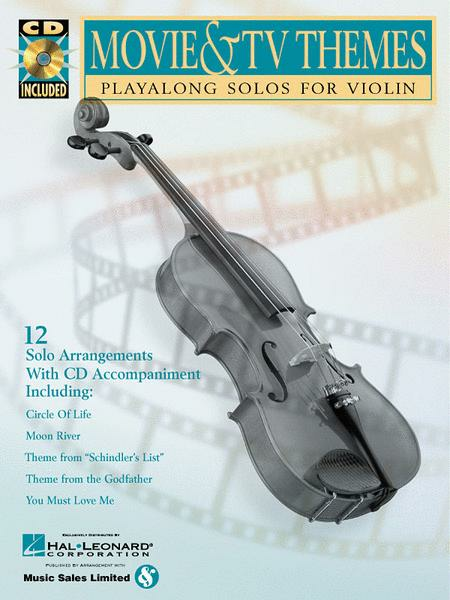 Solo arrangements with CD accompaniment of 12 favorite themes, including Where Everybody Knows Your Name, Circle of Life, Theme from Schindler's List and more.